City winery has a great website, a thriving facebook page and a popular restaurant in a popular downtown Manhattan neighborhood. Nonetheless Go Digital found opportunities for City Winery in the mobile space. 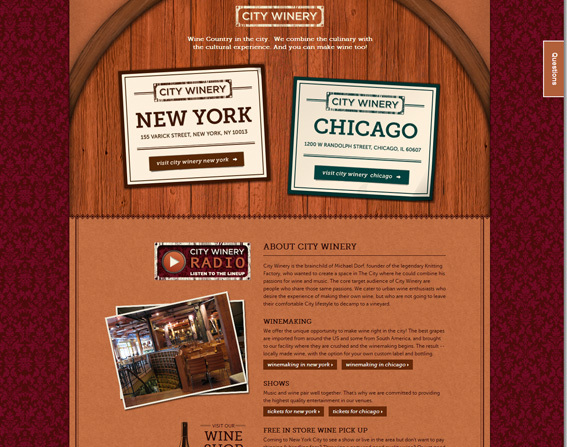 Go Digital helped City Winery build a list of their patron’s cell phone numbers to be targeted via text messages.